Portrait by J.R. Smith and engraved by B.F. Scott. Henry studied at Eaton until 1772. He then decided to follow in his father's footsteps as a maitre d'armes and traveled to Paris to study the art of fencing. He received his technical training at the salle d’armes of M. Motet who had earned the reputation of being the finest fencing master in Paris at that time. Henry received his degree of maitre d’armes and in 1775 returned to London to become his father’s principal assistant. Henry served as his father’s assistant for ten years. 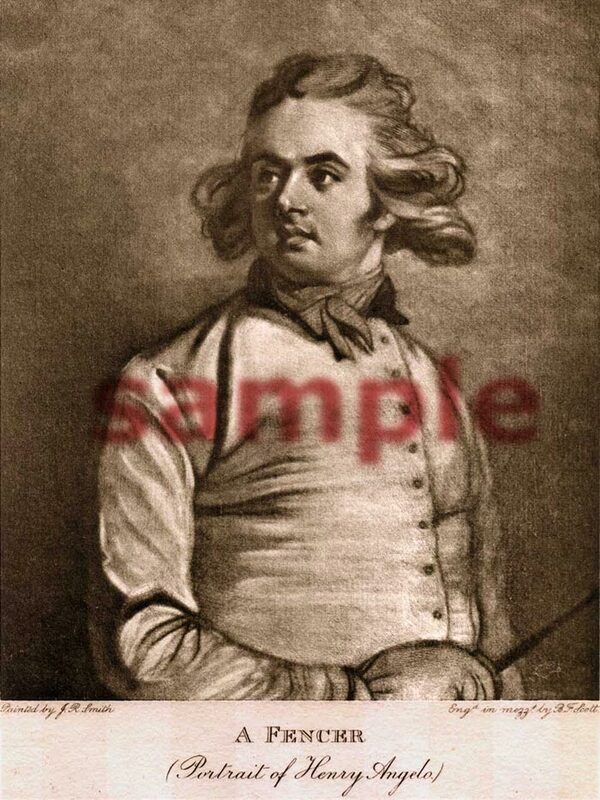 In 1785, on his father’s “retirement,” he assumed the position of head master of the famous school of fencing.